Did you know that there are people out there who are exactly like you, only you might not have met them yet? And I mean exactly like you. A long time ago, the late-great psychoanalyst Carl Jung developed a personality profiling system in his book ‘Psychological Types‘. This model was converted into a simple psychological test called the Myers-Briggs Type Indicator (MBTI), and has been used as the basis for grouping personality types from its inception, to this very present moment. You’ve been exposed to this personality type system without even knowing it in ‘star signs’, ‘which drug are you’ Facebook quizzes and even in daily conversation. 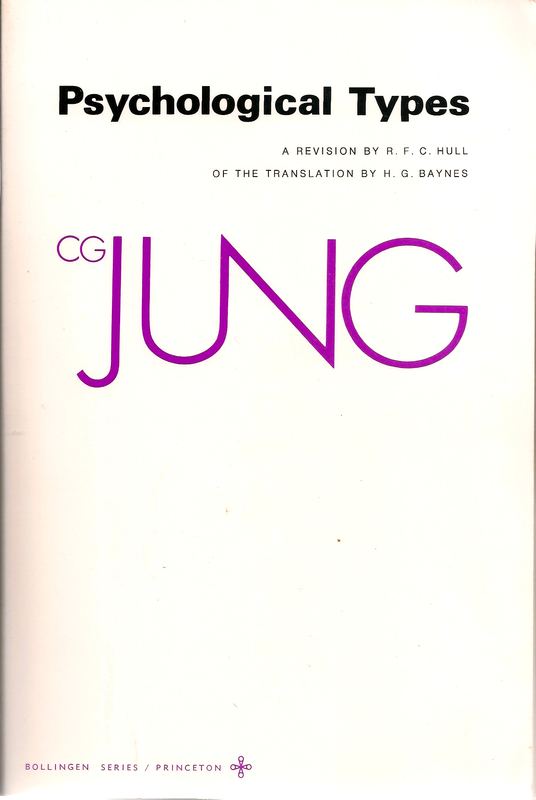 If you’ve ever been called an extravert or an introvert for example, then you can thank Jung for coining those terms. Before you read on, be sure to take the test! A lot of confusion is had about these types; people often assume that an introvert is someone with poor social skills, while an extravert is the ‘life of the party’. This is only a relative truth as it is possible for introverts to have phenomenal social skills (most psychologists and writers are introverts for example) and for extraverts to have poor social skills (not knowing when to stop talking and listen). The psychological definition describes an introvert as an individual who needs to be alone in order to ‘rechare’ their batteries, while an extravert is an individual who is energised by social contact. Introverts can and do enjoy themselves in social situations, only they need varying lengths of alone time in order to recuperate. Extraverts generally cannot stand being alone, and these are the people that call you multiple times a day wanting to hang out, knock on your door and hide in your bushes and pop out to say hello when you leave the house. People who prefer extraversion draw energy from action: they tend to act, then reflect, then act further. If they are inactive, their motivation tends to decline. To rebuild their energy, extraverts need breaks from time spent in reflection. Conversely, those who prefer introversion expend energy through action: they prefer to reflect, then act, then reflect again. To rebuild their energy, introverts need quiet time alone, away from activity. There is no in between; you can and do display certain personality traits in an introverted way and others in an extraverted way, but the way you spend your down time is either introverted or extraverted, you can’t recharge and be slowly drained by social interaction at the same time. There is nothing wrong with either personality type, they are simply different people, and can get along if they both understand each others differences. An introvert might find an extravert annoying, while an extravert might find an introvert rude, but this is only the result of an ignorance of personality types. It is too easy to assume that everyone sees and perceives the world and its inhabitants the same as you do, after all you have nothing to compare your world with. 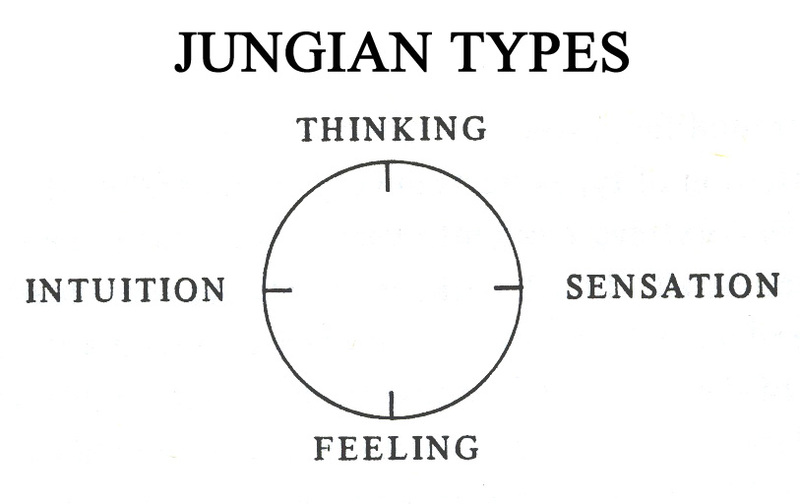 Jung identified two main functions of personality: Perceiving and Judging. Both of these have two sub categories, Perceiving has sensing and intuition, while Judging has thinking and feeling. Each function is dictated by it’s dominant attitude, so an individual’s use of functions depends on whether they are introverted or extraverted: an extraverted intuition type perceives abstract ideas in a much different way than an introverted intuition type for example. Perceiving: Sensing (S) and Intuition (N) are information gathering functions, and outline how an individual gathers and interprets information. Sensing people prefer more concrete and tangible ideas, they tend to rationalise. People who are of the Intuition type are more comfortable with abstract ideas that don’t necessarily need hard facts to back them up, these people are more likely to follow religions and/or peel at the philosophical layer to life. Judging: Thinking (T) and Feeling (F) are decision making functions, and are used to make rational decisions based on the information gathered from the sensing and intuition functions. People with dominant thinking traits generally prefer to make decisions based on rational and logical thought processes which adhere to certain rules. While people with dominant feeling traits are more comfortable making decisions based on emotions and what ‘feels right’. Neither is better than the other; thinking types don’t ‘think’ better than feeling types, and feeling types don’t ‘feel’ emotions better than thinking types. They are simply two different ways people make decisions., and both are useful in different situations and careers. The final dimension to the personality profile is the individuals preference between using Judging (T/F) and Perceiving (S/N) to relate to the outside world; in other words which function has an extraverted attitude. Types with a preference for Judgement (J) show the world their preferred judging function (thinking or feeling). So TJ types tend to appear to the world as logical, and FJ types as empathetic. Judging types like to finish projects that they have started; they yearn for closure. Types with a preference for Perception (P) show the world their preferred perceiving function (sensing or intuition). So SP types tend to appear to the world as concrete, and NP types as abstract. Perceptive types don’t need to finish projects like the Judging types do; they yearn to keep their options open. Because ENTJ types are extraverts, the J indicates that their dominant function is their preferred judging function (extraverted thinking). ENTJ types introvert their auxiliary perceiving function (introverted intuition). The tertiary function is sensing and the inferior function is introverted feeling. Because INTJ types are introverts, the J indicates that their auxiliary function is their preferred judging function (extraverted thinking). INTJ types introvert their dominant perceiving function (introverted intuition). The tertiary function is feeling, and the inferior function is extraverted sensing. The test is the real deal and is used by experts in the field of psychology and it is not simply telling you what you want to be told based on the simple input of your month of birth, and it’s not going to tell you that you are ‘Acid’ or ‘Cocaine’. There is a big possibility though, that you will subconsciously choose answers that reflect who you want to be, or who you like to perceive yourself, rather than who you really are. So it is important that you answer the questions as truthfully as possible; if you are really close and open with someone you know then it is an interesting excercise to do the test with them, so you can cross examine each other. I recently did this with a close friend, and we both found out a lot about each other and ourselves that we didn’t know prior. If you haven’t taken the test yet then take it here. In case you’re wondering, my personality type is INFP. If you’ve taken the test then please let me know your type in the comments section, I’m very curious what personality types are roaming this site! As a closing note, if you wish to study psychology, know that there are many behavior analysis graduate programs at online universities to choose from. Check out my other articles in the ‘Jungian Psychology’ series. If you want to be updated when the next post on Jungian Psychology is finished, be sure to Subscribe to End of the Game by Email! This entry was posted in essay, philosophy, psychology, psychology guide, writing and tagged jung, personality, psychology by Michael Cunningham. Bookmark the permalink. The God that made me so unique is the same God i see in everyone and everything, which makes me realize that we’re all the same; really depends on perspective. Logically we all stemmed from the supernova of stars, (the most powerful force in the universe) making us the children of stardust. I’m fine with this, it makes me feel connected to the universe and to all life. I rather see the similarities between religions, peoples, animals, plants etc. Makes me feel whole, in the literal sense of the word. Nice post though, those personality forums freak me out! I’m pretty sure the Davids in my head are posting those replies, they even like the same music as i do! I got ENTP, “The Inventor” apparently. But honestly, if i did that questionnaire again I don’t usually come out with the same answers. Maybe my inconsistency says something about me..hmm then again I don’t mind being in the same category as Alexander the great. Haha..nice post. Word, that seems to fit your personality, Dave’s an INTP so he’s pretty similar to your type. You should do the test again in a couple of weeks to see if you get the same result. Also get Lance and Echa to do it, I’m curious what their types are! Great post! I got ISTJ. I learned something new about myself. =) Except the part about being an introvert; I knew that all along. Cool! Did you check out the personality profile for your type, and was it accurate for you? if so after that you will definitely get nice knowledge.